I didn’t have expections going into my private tele-session, but I did expect it to be pleasant. I received both a major revelation (or two) and a pleasant experience. The greatest gift to me from my Blissing session with Leena, is the sense of uplifting with the experience of darkness being pulled out of me. Is it being pulled? Am I pushing it out? Is it just oozing out? I don’t know, but I’m sure it’s a good thing. I realized that, if we live in bliss, then where we live, what we own, who we know and have relationships with would not be of such concern. Ahimsa – non-harming… I’m going to think about applying that to my body and food…. just a thought that jumped into my head while eating two Dove chocolates at 10AM. I need to explore this one further. 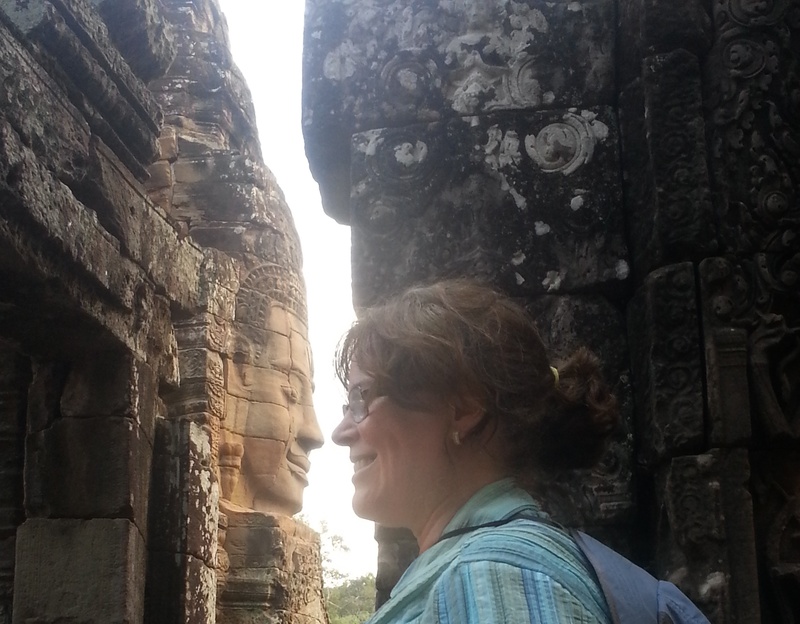 Janet Explores Sacred Sites in Vietnam.